‘Has he recently come into contact with a scorpion?’ the consultant asked. Now, I know Dunbar seems like the back of beyond to inhabitants of the capital but really? Apparently the only thing anyone remembers from medical school (I really hope it’s not the only thing) is the acronym I GET SMASHED, for the eleven causes of acute pancreatitis. (Just in case any readers have an upcoming medical exam they are : Idiopathic, Gallstones, Ethanol, Trauma, Steroids, Mumps, Autoimmune, Scorpion stings, Hyperlipidaemia, ERCP, and Drugs). And of course Benjamin being Benjamin, he comes under the first, idiopathic, i.e. we have no idea why this happened. I woke at five in the morning to find him literally drowning in milk. His overnight feed, which is pumped slowly into his stomach had, instead of moving down into the intestine, passed up his oesophagus and then down into his lungs. Ambulance duly called, he was blue-lighted to A&E with Daddy while I stayed behind to clear up the mess and look after the girls. After forty-eight hours of repeatedly vomiting large amounts of dark green bile, x-rays, ultrasound scans, blood tests, urine tests, stool samples, a lumbar puncture and a midnight laparoscopy under general anaesthetic, he was tentatively diagnosed with pancreatitis. Atypical pancreatitis (of course) because his blood showed none of the usual markers for it. By this stage Benjamin was in intensive care, on a ventilator, and heavily sedated. For a few hours I wondered, How on earth did we get to this? 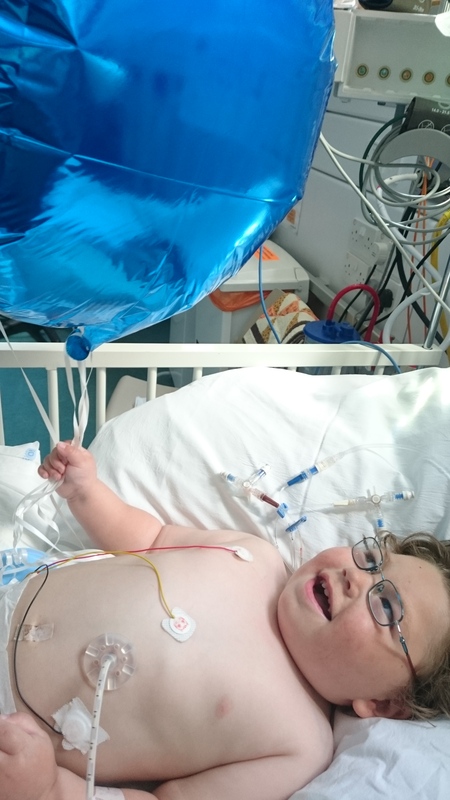 But ICU quickly became our new normal, not somewhere to be feared but a place of safety, where Benjamin was receiving the best possible care and round-the-clock attention. We got into a routine too, Daddy staying overnight at the hospital and commuting to work during the day, me doing the day shift at the hospital and palming Caitlin off on anyone who would have her in-between feeds. Jackie and Granny held the fort at home. Meanwhile, behind the scenes, the doctors tried to fathom what was going on. 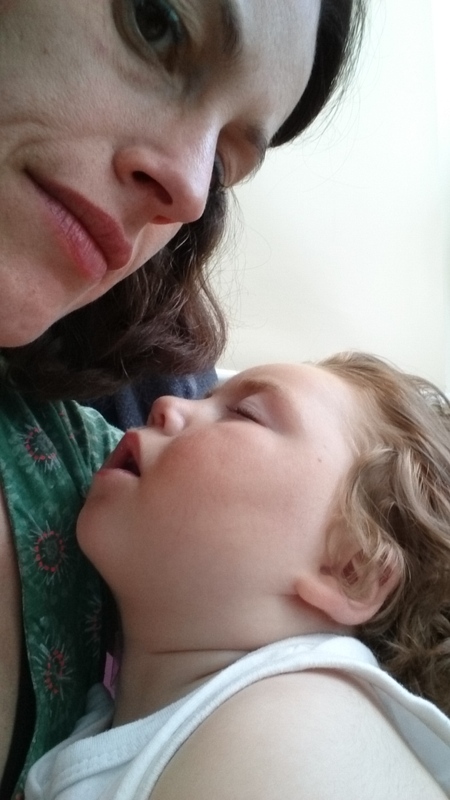 Benjamin has such a complex of symptoms, even when he’s well, that it’s often hard to work out where one problem starts and another begins. Did he vomit some milk and then aspirate it which led to a chest infection? Or did he have a chest infection from which he swallowed some phlegm that made him vomit? Is his high muscle tone causing his chest to tighten and his breathing to become laboured? Or is he having trouble breathing which is stressing him out and making his muscle tone high? We’re walking a tightrope, balancing the management of all his symptoms with a cocktail of medications. One bug in the system – even something as simple as him gaining a little weight – and the whole delicate balance can come crashing down. 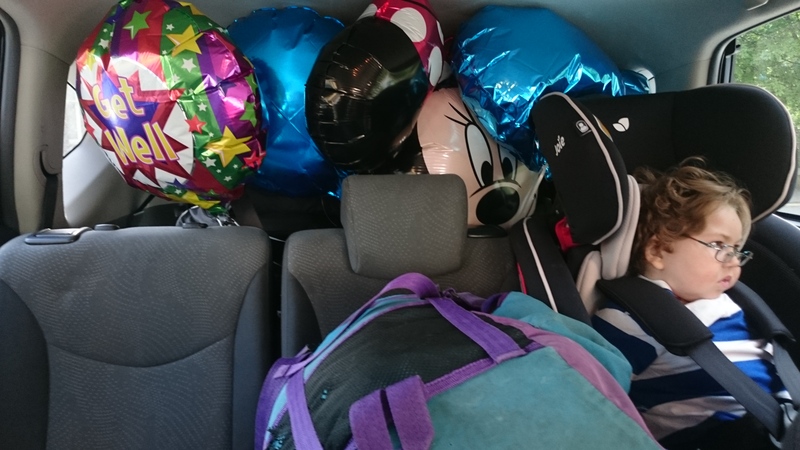 And ten days later he was home, in a car full of balloons. We have been so fortunate with Benjamin. Compared with the dire predictions made before his birth, he has been so healthy and so strong: this is only our third emergency in as many years. With each emergency, with each long wait for the ambulance, each tense hour spent in resus, each extra day in ICU, each year that he lives on borrowed time, I become more scared that this time he won’t make it. But with each, Benjamin shows us just what a fighter he is. The moment he begins to turn the corner, he turns it fast. His condition might be too complex for the doctors to understand, but so far our little boy has beaten everything it can throw at him.